The Albert Wicker School is now Success Preparatory Academy. “It goes back to Plato. And it has a long history of intellectual exchanges,” says Larry Cuban, professor emeritus at Stanford University in the history of education. Cuban’s specialty is school reform and teaching. He says our idea of an “academy” comes from Europe and traveled to the United States in the 17th and 18th Centuries. Caché — something struggling New Orleans schools haven’t had much of. By naming themselves academies these schools hope to instill pride in both students and teachers. Cuban travels around the country doing research and consulting, and he says naming schools academies is part of urban school reform. “I have yet to run across an affluent suburb that does this stuff. Have you?” he asks me. When a publicly funded school is named or renamed an academy, chances are it is a charter school with strict standards and a no-excuses model. Cheneau has seen this change from school to academy first hand. Not far from Akili Academy, she once attended classes at George Washington Carver High School. Which is now George Washington Carver Preparatory Academy. And then there’s another word. “A scholar is like a person who’s from Akili. Who does what they need to do, and who’s been told what they do,” says Jada Brown, a fifth grade scholar. All Akili students are scholars. “It’s a big term for us,” says 4th grade teacher and grade level chair Julie Patterson. She says Akili Academy uses the word scholar to set Akili apart from previous schools their students have attended, and to send a message. “No word is magical in changing behavior,” asserts Larry Cuban. But, he adds, the word scholar elevates the possibilities. Cuban says these words are just tools. It’s easy to say them, but much harder and more complicated to live up to the lofty promises they hold. Whitman Wilcox V attended kindergarten through second grade at a neighborhood public school in the Lower 9th Ward. 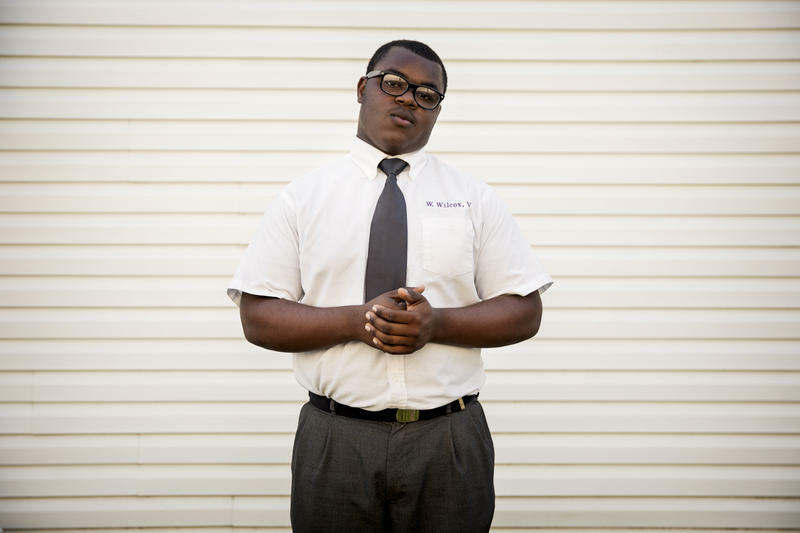 He had just started the third grade when Hurricane Katrina hit in August 2005. His family was forced to evacuate; he wound up at a Catholic school in Houston. New Orleans is starting a program to help economically disadvantaged residents get work. Mayor Mitch Landrieu unveiled the program yesterday. It comes after a report last year by Loyola University that found more than half of working-age black men in the city were unemployed. The New Orleans Advocate reports details are still being worked out, such as who will run the program and what its budget will be. As New Orleans continues to reform and reshape public education, WWNO seeks to highlight teachers who bring unique talents and perspectives to their work. We'll feature one such educator each month. Dixey Faciane teaches gifted pre-Kindergarten at Benjamin Franklin Elementary and draws on her inner child. Voices of Educators is supported by Entergy. As part of the Education News Initiative between WYES-TV and WWNO 89.9 FM, this continuation of the AMERICAN GRADUATE national campaign examines Louisiana’s improvements in its high school graduation rate and helping students find their pathway to career through continued education or direct employment after completion of K-12.